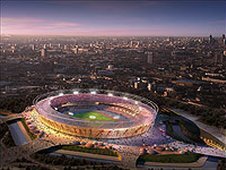 The armed forces need clarity "as soon as possible" on their security role at the 2012 Olympics in London, a senior Army commander has said. Gen Sir David Richards told MPs that the Army may need new units, re-training and explosive specialists to be prepared properly for the event. He also pointed to "bureaucratic rivalries" in the planning process which needed to be eased out. The MoD said it was fully engaged in the Olympic security planning process. An MoD spokesperson said that further clarity over what would be expected of the military would be available later in the year. She added that the position was "totally suitable". Gen Sir David, the current Commander-in-Chief Land Forces, will take over as head of the Army later this year. Asked by the Commons Defence Committee chairman James Arbuthot about what kept him awake at night in relation to UK security, Gen Sir David replied: "I suppose at the back of my mind is 2012. "The government ministries are all alert to the necessary work and are getting on with it." He added: "I would like to get clarity on what might be required from the Armed Forces as soon as possible. "If we do have to re-train, create new units, IED (improvised explosive device) specialists, all that sort of thing, the sooner we get clarity the better." Gen Sir David, said there was a need for some "re-balancing" of the forces due to the risk of a terrorist attack in the UK. He said Defence Secretary John Hutton called a meeting to examine topics such as the "nature of future conflict". He added: "The 2012 Olympics, with some of the more lurid things that the horizon-scanning process has suggested could happen, has been a catalyst for accelerating that work. "There are bureaucratic rivalries that we have got to ease out. It works but I suspect it could be better." Meanwhile, a Home Office spokesperson said: "The government is committed to ensuring a safe and secure London 2012 Olympic and Paralympics Games. "Our plan for security has already been circulated to key stakeholders." "A draft security strategy, together with an accompanying concept of operations and the broad funding package, will be presented for sign off to the relevant ministerial committee next month."